When most people think of productivity, they think of efficiency—getting more things done in less time. This is a natural response to the villain of overload. When we see so many things coming at us, our tendency is to speed up. This isn’t always bad, but if this is our first and primary solution, it will backfire. While efficiency is important, it works only when we make it secondary, not primary. It doesn’t matter how efficient you are if you are doing the wrong things in the first place. More important than efficiency is effectiveness—getting the right things done. In other words, productivity is not first about getting more things done faster. It’s about getting the right things done. Here are six productivity myths you need to know and why they’re the wrong solution. The summer before my senior year of college, I had an internship as a claims representative at a large insurance company. My role was to travel throughout my state investigating storm damage claims, determining the amount of loss, and settling each person’s claim. One day toward the end of the summer, my boss had me investigate a fire claim. The claim was local, so it was going to be a quick trip and easy to do. All I had to do was go to the house, take pictures of the inside, and come back. When I got back to the office and gave the photos to my boss, however, he noticed a problem. “What are these pictures?” he asked. “What! No they aren’t.” He got a good laugh, and so did the rest of the office, because it turns out I went to the wrong house. 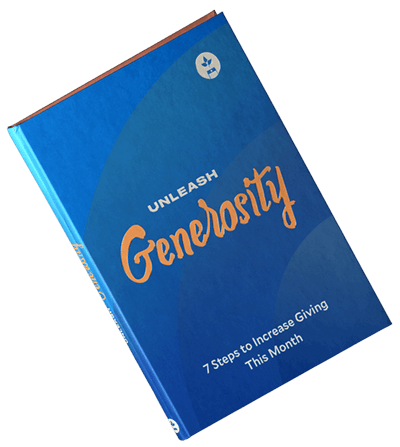 Click here to see why thousands of churches and ministries trust Tithe.ly with their online giving and mobile giving solutions. This little incident shows us why efficiency is not enough. The job was quick and easy, but none of it mattered because I was at the wrong house. I was efficient, but I wasn’t effective. Thus, more important than how much we get done and how fast we do it is whether we are getting the right things done at all. But, as he and his coauthors rightly point out, “basing our happiness on our ability to control everything is futile.” It will never work. This is why many people are frustrated with most traditional approaches to time management. Simply speeding up doesn’t help if you aren’t going in the right direction in the first place. It’s not possible to control everything. We will make mistakes, and sometimes things will simply be too much for us (2 Cor. 1:8-11). We need an approach to getting things done that acknowledges this and doesn’t require us to keep it up perfectly or to see everything go our way in order to work. Increasing your efficiency can actually backfire and make things worse. This is because when you become more efficient, you tend to do more things—and if you aren’t doing the right things in the first place, you have just become an expert at doing more of what doesn’t need to be done at all. If you become more efficient at getting things done, you will tend to do more. If you don't give thought to what that “more” is that you (often unconsciously) take on, you might just end up being incredibly efficient at completely useless things. Talk about the ultimate in unproductivity. Not only can the quest for efficiency be wasteful; a quest for efficiency often undermines effectiveness as well. For example, many organizations suffer from the myth that the best way to make a profit (or, for nonprofits, “steward donor resources”) is to be militant about cutting costs. The problem is that this is often done in ways that undermine their employees, making their work harder and more frustrating thereby lowering morale. Worst of all is when the employees themselves are viewed as “cost centers” rather than for what they really are—the true source of value in an organization. When this happens, people begin to be treated like interchangeable parts, and the quest becomes finding the person who can do the work cheapest rather than the person who can do it best. There seems to be an inverse relationship between efficiency and innovation: the more you focus on efficiency (beyond a certain point, at least), the less innovative you will be. Technology, hardware, and capital can be copied easily. What can’t be copied easily is the culture and human capacity that create those in the first place—and does so in a way that engages not just functionally with people but also emotionally, so that people want what your organization offers. The quest to cut costs and “be efficient” often ends up rendering people and organizations ineffective. I call this “superficial efficiency,” and it is perhaps the number one enemy to worker satisfaction and productivity in the workforce right now. The far greater priority than becoming more efficient is learning how to identify what’s more important—that is, what’s best—and then translate that into action. Efficiency exists so that you can serve others better, not sacrifice them to efficiency. One of the best places for efficiency is being efficient with things so that you can be effective with people. If you become more efficient with things, you will have more time to give to being effective with people without feeling like you are always behind on your tasks. Editor's Note: Taken from What's Best Next by Matt Perman. Copyright © 2014. Used by permission of Zondervan.